A couch that fell off a pickup truck caused a multi-car crash and a traffic backup on Interstate 805 in Chula Vista on Wednesday. 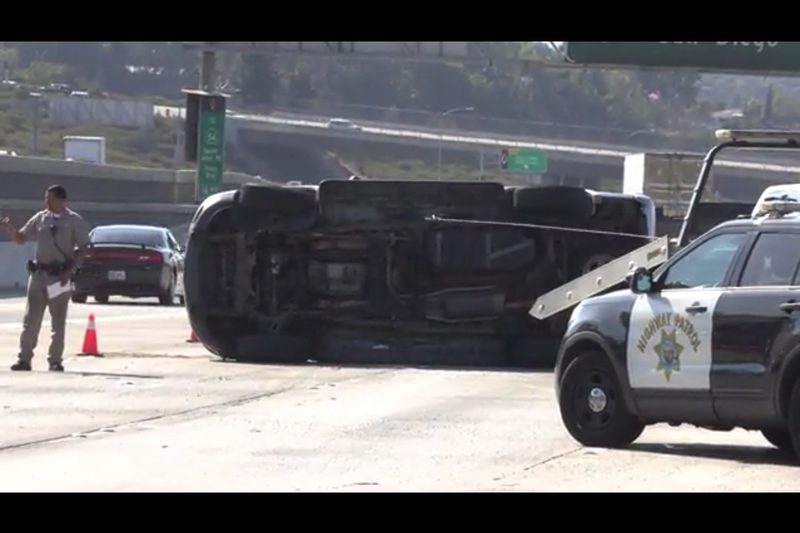 Five cars were involved a crash that resulted from a couch flying off a Dodge Ram towing a trailer on northbound I-805 just before H Street at about 4:20 p.m., according to the California Highway Patrol. One of the cars involved in the crash caught fire, and at least one car rolled over onto its side, the CHP reported. It’s unclear whether anyone was injured. Four lanes of the freeway were blocked on northbound I-805 just before H Street, leaving just the No. 1 lane and an HOV lane open as of 4:45 p.m. The driver of the Ram remained at the scene, the CHP reported.